Gill Smith completed the MA Visual Arts: Printmaking at Camberwell in 2014. Recently Gill traveled to Milan for the Affordable Art Fair, we asked her about the Fair and her experience. 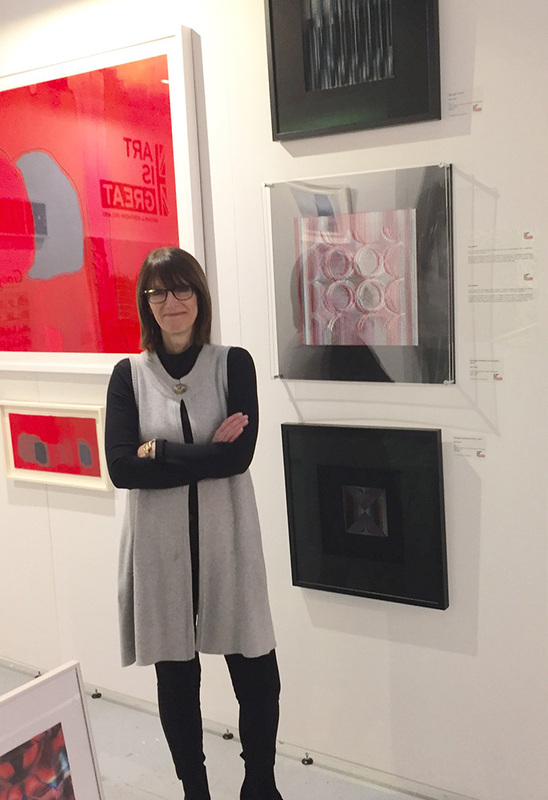 Printmaking heralded a change in career direction for Gill after holding various financial and consultancy roles since graduating with a Business Studies degree from Edinburgh University. 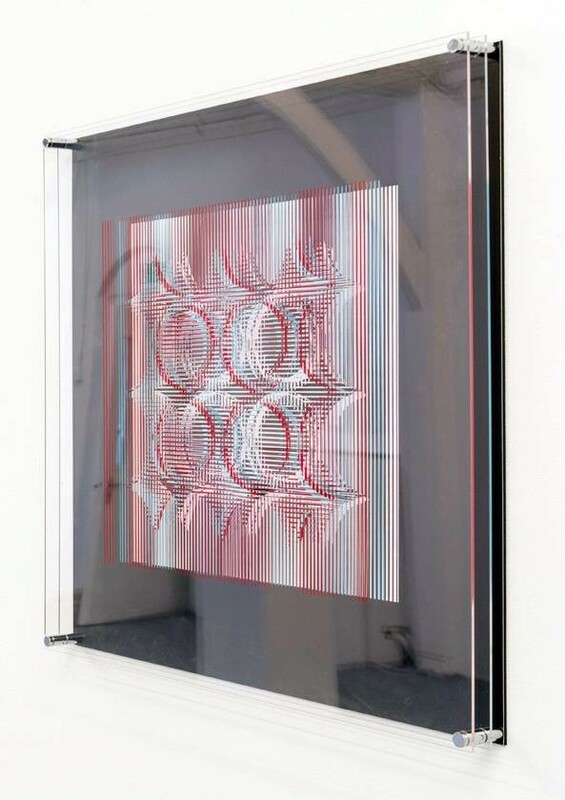 Since graduating Gill’s practice is rooted in print and the concept of the multiple, and has widened to include more sculptural one-off paper pieces and artist books. She combines more traditional printmaking techniques of intaglio and screenprinting with digital and laser technology to create 2D and 3D works that explore light, texture and movement. This was a fantastic opportunity offered by the Department of International Trade (DIT) in London. This was the first time that the DIT has supported artists as part of a trade delegation where the aim was to gain international exposure – and of course, sales. London has a strong international reputation as a hub of artistic talent and the DIT wanted to highlight this and the vital role that the creative industries play as part of the UK economy. Their chosen vehicle for this trade delegation was the Affordable Art Fair (AAF) in Milan, where the trade stand was called London Calling and featured 16 contemporary artists based in London. How were you selected to attend the Fair? Like many artists I am constantly looking for opportunities to exhibit and sell my work, so I keep a regular check on various sites that advertise artist opportunities. I saw a call-out just before Christmas and sent in my application along with, I think around 75 other London based artists. The selection panel included representatives from the DIT, the AAF, and GoFigurative, the agency chosen to work with the DIT and to represent the selected artists in Milan. For the final delegation, 16 of us were selected. I have previously had work selected by another gallery for the AAF in Battersea, but this is the first time my work has been shown at the Milan fair. How did you find the experience of the Fair and Milan? Like all these fairs the opening evening was crazy – very busy right from the start with a real buzz. The London Calling stand looked great and there was an interesting mix of work selected for the stand. I was showing three of my illusional pieces from the ‘Synergy’ series that I created for my final MA show. 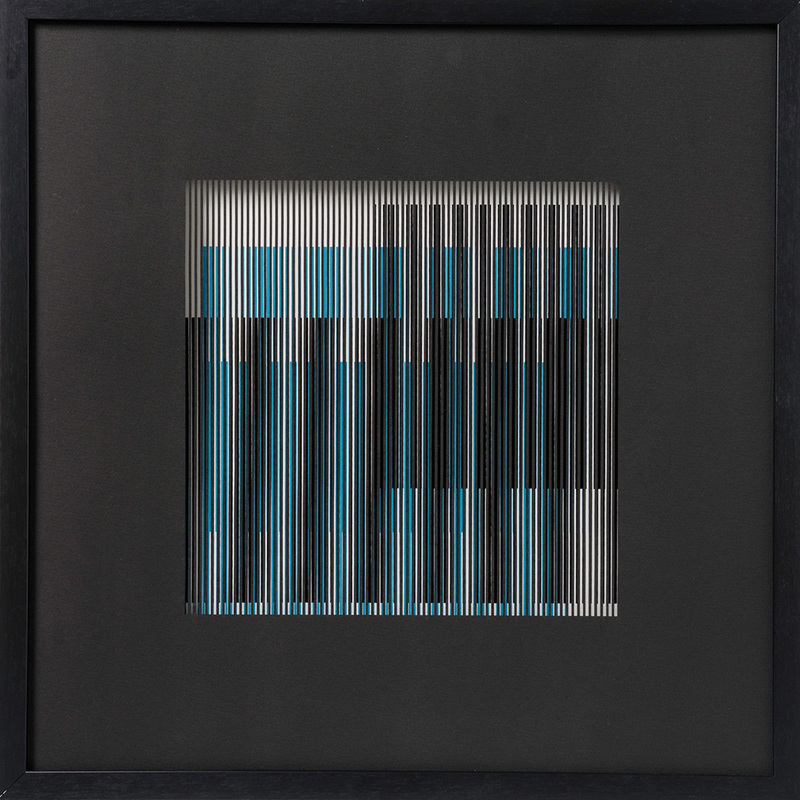 These pieces play with ideas of visual perception and the image changes as the viewer moves around the piece. I am delighted to say that one of these, ‘Synergy (Vanishing Point)’, was sold on the opening night and it was great to be able to meet the buyer. The opening evening was so busy (and hot!) that I didn’t get a real chance to see the artworks exhibited on other stands, so it was good to be able to go back again over the weekend when things were a little quieter. From talking to the representatives at several stands I got the impression that sales had been a little slow for some, it was great that the London Calling stand was met with such success. Did you find or create contacts or interest in your work? The primary interface with potential clients at the fair was the agency appointed to work on our behalf. There will be a follow-up with the agency after the fair to identify any leads. It was useful to see what work other galleries were showing in Milan and to see first hand whether I felt my work could fit with their aesthetic. I will certainly follow-up with these. It was also a good networking opportunity for meeting some of the other artists selected for the London Calling stand and the staff from the Milan consulate. Was there a stand-out moment at the Fair? Most definitely the buzz from making a sale! I know a lot of artists who are passionate about making and exhibiting work, but actually selling the work is strangely low on their radar – not so for me. Perhaps its my background in finance, but I see my creative practice as a business and so this opportunity for both international exposure and sales at the AAF in Milan was perfect. What is next for your practice? I continue to exhibit whenever I can. I currently have work in the Small Print International touring exhibition, which comes to the London Print Studio from 23 April until 23 May and I have quite a few pieces in the Black & White exhibition at Gallery 57 in Arundel until the beginning of March. I will also be selling my work at several art fairs throughout the year. 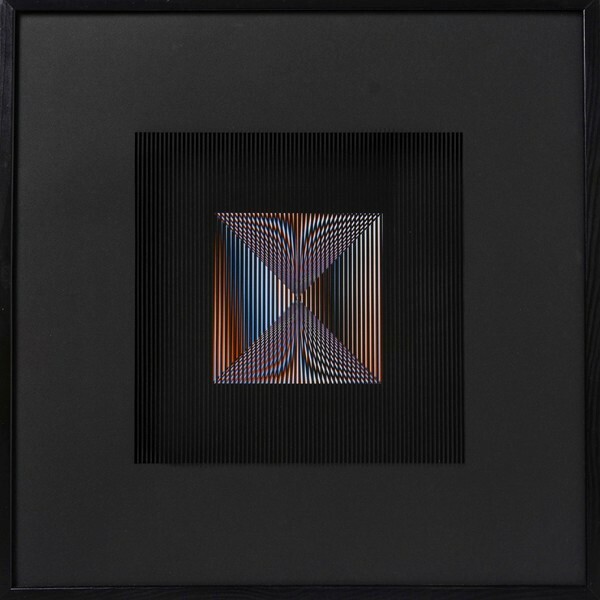 I continue to make new work exploring my fascination with both visual perception and geometric design. I am currently working on developing some of my designs as surface print for goods such as coasters and ceramics. I am also looking to explore the idea of digital printing my designs on fabric.